Below are links to our industry partners and associations. We invite you to visit the websites below to learn more about the advantages of using Cedar products; both for consumers and the environment. As the representative of numerous quality cedar producers in the United States and Canada, a major objective of the Western Red Cedar Lumber Association (WRCLA) is to help consumers understand cedar's long term benefits, its special features and to provide information on how to use it properly. Consumers who purchase WRCLA quality cedar receive the full support of the Association's technical service programs. 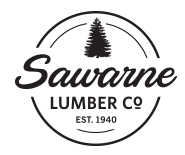 The North American Wholesale Lumber Association (NAWLA) is an international trade association of over 650 leading forest products and building material industry wholesalers, manufacturers and industry affiliated companies throughout the United States and Canada. NAWLA is dedicated to enhancing professionalism and efficiency throughout the lumber distribution channel and to the responsible use of forest resources. NAWLA members serve as the unifying force for efficient forest products and building materials distribution. The USDA Forest Service's Forest Products Lab (FPL) uses science and technology to conserve and extend forest resources. FPL's mission is to promote healthy forests and forest-based economies through the efficient, sustainable use of wood resources. FPL is recognized both nationally and internationally as an unbiased technical authority on wood science and use.